The Reverie Indy 200FC is a high performance Carbon Fibre air induction kit for the Jaguar XKR and XK8 (1996 - 2006) with either the 4.0 or 4.2 normally aspirated or supercharged engine. The kit improves performance and increases BHP. 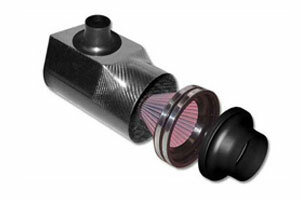 The kit includes a K&N air filter, Carbon Fibre housing enclosure with Alloy adaptors and inlet. Reverie produce a range of universal induction kits, air boxes and accessories that can be adapted to fit most cars new or old. Our universal kits are available in Carbon Fibre or Alloy and many different inlet/outlet sizings as well as different adaptor and ducting options. 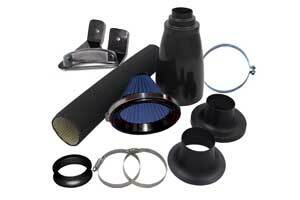 You are sure to find a high performance induction kit to suit your car.